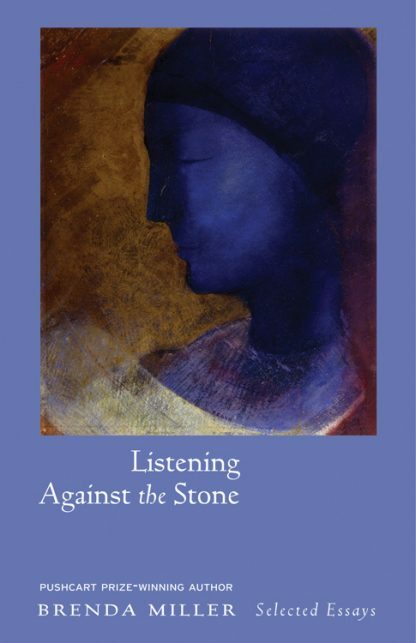 Listening Against the Stone brings together selections spanning the breadth of the work of Brenda Miller, including six essays that have won the Pushcart Prize. These deeply personal essays paint a picture of how her sense of spirituality has evolved and shifted through the years: always rooted in a strong desire for connection. Together, they tell the story of a single woman her way, stumbling but always seeking out touchstones--a dog, a friend, a painting, a tree--to help her gain her true bearings. Brenda Miller is the author of Listening Against the Stone (Skinner House Books, 2011), Blessing of the Animals, Season of the Body, and co-author of Tell it Slant: Writing and Shaping Creative Nonfiction. Her work has received six Pushcart Prizes and has been published in numerous journals. She is a Professor of English at Western Washington University and serves as Editor-in-Chief of the Bellingham Review.